Months after Prime Minister Narendra Modi's announcement of buying 36 Rafale jets, France waived taxes worth 143.7 million euros to a French-registered telecom subsidiary of Anil Ambani's Reliance Communications in 2015, leading French newspaper Le Monde reported on Saturday. While the French embassy said a global settlement was reached with the firm under legislative and regulatory framework, the defence ministry said any connections drawn between the tax issue and the Rafale deal was totally "inaccurate" and "tendentious". In October 2015, six months after Modi announced in Paris about the Rafale deal, the French tax authorities accepted 7.3 million euros from Reliance Flag Atlantic France as a settlement as against original demand of 151 million euros, the French newspaper reported. As per current exchange rate, the amount waived was Rs 1,123 crore. Reliance Flag owns a terrestrial cable network and other telecom infrastructure in France. Following the report, the Congress stepped up its attack on the government on the Rafale deal and alleged that the Reliance received the tax waiver due to Modi's "blessings" and that he acted as a "middleman" for Ambani. 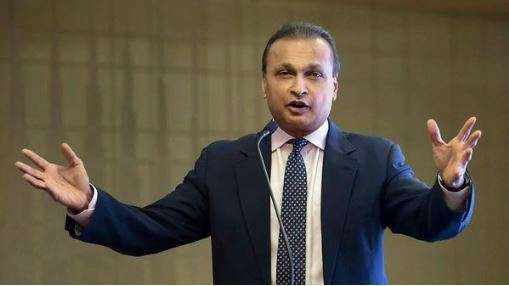 RCom rubbishes French media report: The Reliance Communications on Saturday rubbished the media report.In a statement issued, the Reliance Communications clarified that the tax issue of its subsidiary Reliance FLAG Atlantic France SAS pertained to the year 2008 and had been settled as per the local laws, much before the Indian government decided to purchase Rafale jets from French company Dassault. Modi had announced the procurement of a batch of 36 Rafale jets after talks with the then French President Francois Hollande on April 10, 2015 in Paris. The final deal was sealed on September 23, 2016. Defence Ministry dismisses report: The Defence Ministry also dismissed the report saying the connection drawn between the tax issue and the Rafale deal was "inaccurate" and a "mischievous attempt to disinform". "We have seen reports drawing conjectural connection between tax exemption to a private company and procurement of Rafale fighter jets by Indian government. Neither the period of tax concession nor the subject matter of the concession relate even remotely to the Rafale procurement concluded during the tenure of the present government," the Defence Ministry said in a statement.